Many people enjoy buying and selling gold coins. For some it is a hobby while others hope to turn a profit and make some money. If you have found yourself becoming interested in learning how to buy and sell gold coins you may be unsure of where to start. Although you do need to do some research to get started selling and buying gold coins. The good news is, it is a relatively simple process. We have provided you with some great tips to help you get off to a good start with your buying and selling gold coins. In order to learn how to buy and sell gold coins effectively you should have a basic understanding of gold coins. Such as how they are weighed and what type of coin you are buying. This knowledge will help you be educated when purchasing gold and help you to make the most of your purchase. 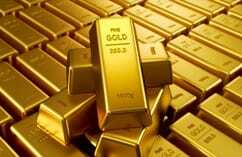 Keep up to date on information about gold including the current gold price, type and weight. Gold coins are weighed by Troy ounce. This differs from a standard ounce and should be considered when purchasing. A Troy ounce is heavier than a standard ounce. This matters when buying gold coins as if you were to buy a larger amount of gold coins you would be getting less if you were buying by ounce than if you were buying by Troy ounce. Pay attention to this when making purchases to ensure you aren’t missing out. The two main types of coins to consider purchasing are bullion coins and numismatic coins. These coins differ in that one is used primarily for investing while the other is most often purchased by collectors. Below is a description of the two types of coins and how they differ. Bullion coins – These are often acquired by investors. The price of the coin is transparent, not complicated and is determined by the market. Popular bullion coins are American Gold Eagles and Canadian Maple Leafs. These coins are produced yearly. Numismatic coins – The gold coins are no longer produced. The price depends on external factors such as rarity of the coin itself. A higher level of knowledge is needed to buy and sell these gold coins effectively. Some types include British Sovereigns and 20 Swiss Francs. Keep in mind these coins are much more complicated to buy and sell. Keep track of the current price of gold to avoid overpaying. It is in your best interest to have an understanding of the price that gold is currently selling for. Learn about any fees you must pay when exchanging cash for gold. Always buy from a reputable business and look for transparency in fees for services. Just as it is important to buy from a reputable seller you should be diligent in choosing a professional and experienced buyer. Consider selling to a gold buying store, like Pinto Gold and Jewellery Buyers, to help ensure you get the right price for your gold. Avoid business that offer a too good to be true price. Always remember that you are in charge of your knowledge of gold buying and selling. Now that you know how to buy and sell gold coins, stay on top of the market trends and have fun!